PSE’s trading floors located in The Woodlands, Texas, and Richmond, Virginia, execute various physical and financial energy products across North America. We take pride in our industry veterans’ practical knowledge and highly specialized skills at energy trading which have been critical in deploying effective strategies for our customers at every step of their transactions as well as optimizing returns. As a leading participant in energy futures and options, PSE has a significant presence in the Over the Counter (OTC) market, Intercontinental Exchange (ICE) and New York Mercantile Exchange (NYMEX). Since PSE’s inception in 2004, the Gas Trading Desk’s geographic footprint has expanded from the Western United States into the Northeast and the Gulf Coast regions. 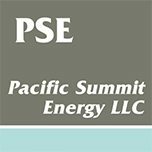 PSE is one of the industry leaders in wholesale natural gas trading in the United States and provides expertise that creates value and mitigates risk against the challenges presented by a dynamic market. PSE’s Power Trading Desk has been active in physical and financial electricity markets throughout the United States since 2012. Our geographically diverse portfolio includes more than 50 North American power locations. PSE expanded its commodity trading capability to include a Crude Trading Desk in 2014 and is currently active in financial and physical markets in Texas and Oklahoma.